St. George Slava, St. Elijah's Serbian Orthodox Church, 2014. You can enlarge photo by clicking on the lower right hand corner of the picture. 'Protojerej-Stavorphor Stevan Stepanov', beloved “Proto/Father Stevan” left us this past February for the next [eternal] life with our Lord. He will forever be loved and missed, and his memory cherished, while he leaves behind a void and a legacy that can never be filled. Father Stevan Stepanov was born May 25, 1940, in Gospodjinci (Backa, Voyvodina), and, as such, added a new dimension to the home of his late father Marko Stepanov and mother Evica, nee Dejanovic. At an early age Father manifested a genuine interest and keen desire for entering the priesthood and serving the Church. That deep resolve and determination carried over into his teens. Accordingly, in 1955, Father Stevan enrolled in the St. Sava Seminary in Belgrade, and graduated in 1960. That same year he was admitted to the Theological Faculty in Belgrade. A year later, he also began studies at the Philological Faculty. In addition to pursuing his academics, 'Stevan' also found time to pursue one 'Ana Radosavljevic'. The latter “pursuit” proved very exciting, motivating and stimulating. His ardor prevailed, and on February 17, 1963, classmate Ana became Mrs. Stevan Stepanov. [It can be suggested here that this persevering suitor had won his bride by “Degrees”]. Eventually, their first child, Ivana, was born July 14, 1964 in Belgrade. Son Marko (born later in the U.S.), became an exemption on June 11, 1976, and consequently, also became a 'bicentennial souvenir'. In conjunction with his service at the Belgrade Theological Faculty (1963), Father was assigned to the Archdiocese of Belgrade. That same year he was ordained into the Diaconate in the Cathedral of Belgrade by Patriarch German. He was then also appointed Professor of Music and Director of the Seminarian Choir in Belgrade. It was the perfect union- Stepanov and music. In 1965, “Professor” Stepanov received his B.A. in Linguistics and Literature from the University of Belgrade. Shortly thereafter, he joined the Diocese of Backa, and was named Deacon of the Cathedral of Novi Sad by His Grace Bishop Nikanor. There he served as Clerk of the Ecclesiastic Court and Instructor of Religious Studies. Father Stepanov arrived in America, specifically, Cleveland, Ohio, in 1971, and joined the Eastern American and Canadian Diocese. His Grace Bishop Sava appointed him Deacon and Secretary of the Ecclesiastical Court for the Diocese. In addition, Father continued to expand his musical interests and talents and apply his choral skills. He subsequently directed the Isidor Baich Choir of Akron, Ohio, and the Dr. Laza Kostich Choir of Midland, PA.
A most eventful year for Father Stevan was 1973. He was ordained a priest by Bishop Sava in Aliquippa, PA. That same year he accepted the position as parish priest of St. Elijah Church in Aliquippa as well. Later, at the consecration of the St. Elijah Serbian Center, Father was promoted to the rank of Protonamesnick by His Grace Bishop Sava. During this same time Father Stepanov continued his graduate studies and furthered his professional growth at the University of Pittsburgh. In 1979 he received his Master's Degree in Slavic Languages and Russian Literature. In 1981, Father Stevan was promoted to the rank of Protopresbyter by His Grace Bishop Christopher. These early promotions were testimony to the high regard and esteem in which he was held by both his peers and superiors. Much of Father's love, energy and concern was directed toward and devoted to the children of St. Elijah Parish. The “Altar Boys”, whose ranks were always full, brought him endless pride and joy. One of his most special and important efforts was the children's summer 'day camp' [“St. Elijah Church Camp”] which Father Stevan founded in 1977. This effort yielded innumerable and invaluable results for the children, and consequently, [the future of] the church. The camp was so successful it became a template for other Serbian parishes around the country, and was subsequently recognized and replicated accordingly. In addition, Father's oversight of the 'Sunday School' program and other church-related programs and holiday activities for the children were ongoing and most meaningful as well. The Weekly Envelope System, Weekly Bulletin, and revised Liturgical Books were also products of Proto's efforts and attention. His spear-heading of a new “bell sound-system” and air-conditioning system were additional significant, timely and welcome improvements to the church. One of Father Stevan's most personally gratifying efforts among his many initiatives was the development and building of the Resurrection Chapel at the St. Elijah Cemetery. Built in the late 1980s with and through his inspiration and direction, Father provided the original impetus for the chapel, and was a prime force for both the fund-raising and construction projects and efforts. The St. Elijah Resurrection Chapel stands among the first of its kind to be added to a Serbian cemetery in America. It remains, to-date, a statement and tribute to Father's foresight, planning, determination and vision. 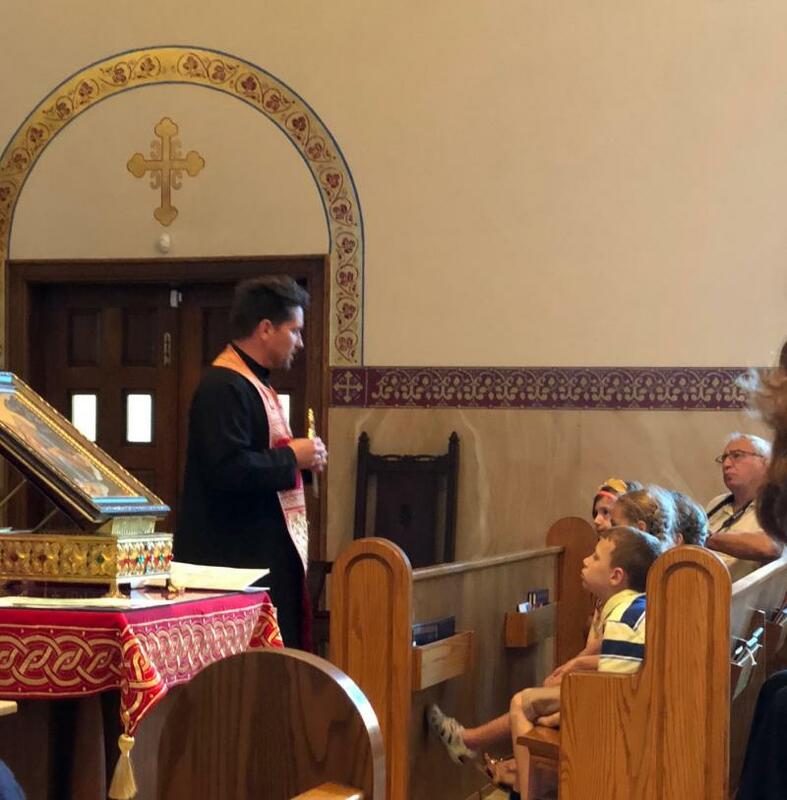 So much of Father Stevan's work was tangible, physical and obvious from the time of his arrival and the beginning of his ministry in Aliquippa, and throughout the course, conduct and discharge of his normal, pastoral obligations. They were/are a matter of record, and, more significantly, were most evident in the performance of his daily and weekly duties. His parish concerns spread across the full spectrum of local and diocesan needs and demands. He not only met those needs and demands successfully, he met them with grace, dignity, confidence and optimism. Father was neither intimidated nor deterred by changes and challenges. Rather, he helped the church meet its challenges, resolve them, and in the process, move forward and prosper. Father was a true “custodian” of our St. Elijah Church. He endorsed that same process and concept and kept it his mission over the course of his tenure. We would be remiss if we did not especially “thank and commend” Father for recognizing his own enviable talents, and more importantly, for sharing and offering them so willingly and so generously, in terms of his prolific musical talents. It can truly be said that his voice was and remains woven into the very fabric of our St. Elijah Choir, our congregation and indeed our liturgy. As has come to be known, Father's God-given talents forged and established a special relationship between himself and the St. Elijah Choir. For any relationship between two parties to remain healthy and prosper, however, the main catalyst must always be the degree and the quality of the harmony that exists between them. That element, over the years, was present in very generous and evident proportions between the choir and Proto Stevan. Through Proto's efforts, and with his assistance, St. Elijah's church hymns, litanies, troparions and liturgical responses and prayers became the 'hallmarks' of the choir's presence in the choir loft. To this day, this remains the choir's focus and its continuing mission. Beyond this musical harmony, however, Father Stevan wove and blended other less-tacit and less readily obvious 'harmonies' into the St. Elijah Church family, relationship and identity as well, and we continue to feel and recognize them in our hearts and souls: …..Spiritual Harmony- which brought added meaning and depth to Serbian Orthodoxy and the teachings it embraces; Harmony of Purpose- to support, prepare and strengthen the Church for future challenges; Harmony of Service- to keep the Church strong, solvent and responsive; Social Harmony- to sustain and promote a healthy climate of good fellowship and good will within the church; and, finally, Harmony of Common Concern- for the ultimate well-being, direction and future of the entire St. Elijah Parish. Transcending all of Father's efforts and accomplishments within the St. Elijah Church, however, were his personal dedication and commitment to the Priesthood. Father accepted the total discipline of his calling, full obedience to his Church, and loyalty to his vows. These were the tenets of his ministry, and the badges of his office. 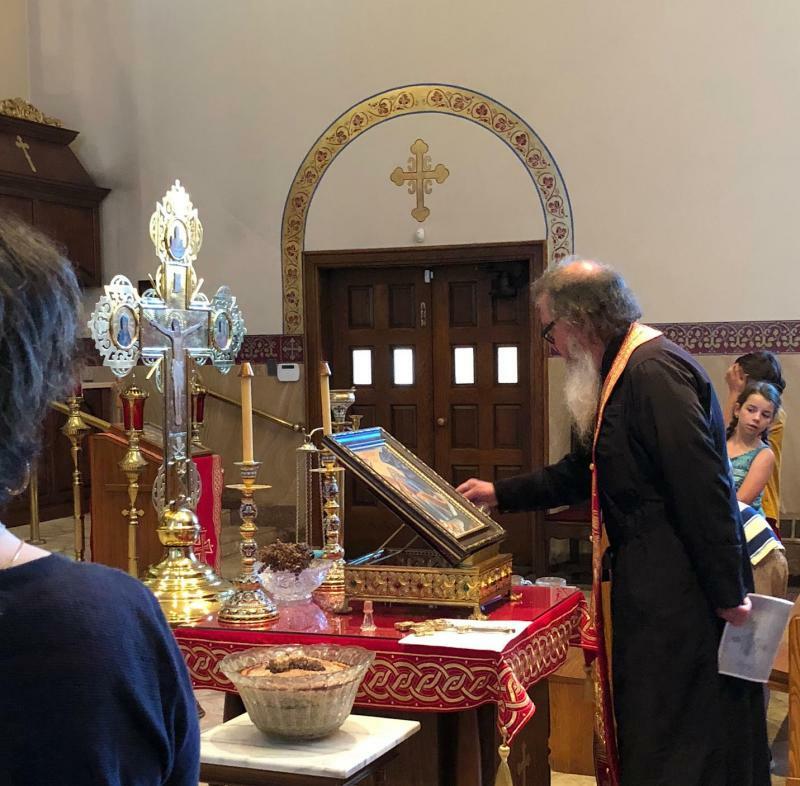 St. Elijah Parish was TRULY BLESSED, and enjoyed and benefited from a most wonderful, loving and benevolent steward [and stewardship] in Father Stevan Stepanov. He kept our Home in order, our Ship on course, and our Holdings and Operation both solvent and in/under control. Proto Stevan's leadership provided St. Elijah with pride, progress and true spirituality. [We dare suggest that Sveti Ilija himself would be most pleased and proud]. 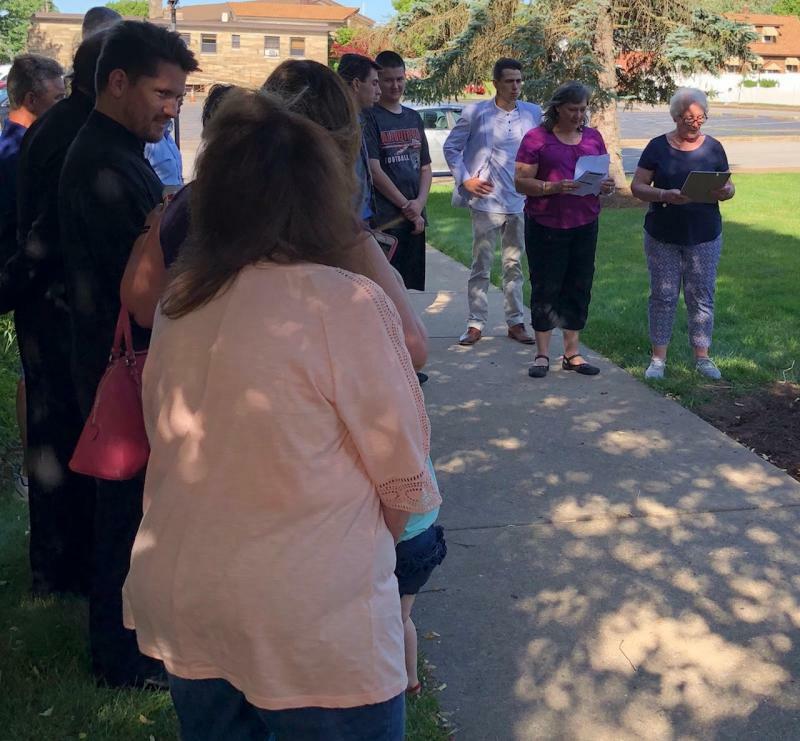 With heartfelt gratitude, emotion, respect and love, St. Elijah Church Parish of Aliquippa, PA., remembers Father Stevan Stepanov for his spiritual guidance, and for tending to us, his “flock”, with love, care, reverence and vigilance over the course of his time with us. Father Stevan will forever remain in our hearts and in our prayers. On behalf of St. Elijah Church/Parish, Laurene Maravich. text extracted from St Elijah Church's commemorative event narratives]. V. Rev. Stav. Fr. Stepanov cutting the Bizic Kolach on St. George's Day. The Serbian Orthodox Church lost a devoted, faithful, and loving servant in this world with the passing of Protojerej-Stavrofor Stevan Stepanov on February 24, 2018 at his home in Medina, Ohio. From February 1973 until his retirement in August 2014, +Proto Stevan served the Serbian Orthodox Church as pastor of the parish of the Holy Prophet Elijah in Aliquippa, Pennsylvania. He returned to his beloved Sveti Ilija a final time for his funeral and burial on February 27-28, 2018. The funeral proceedings began with visitation in the St. Elijah Church on the afternoon of February 27. 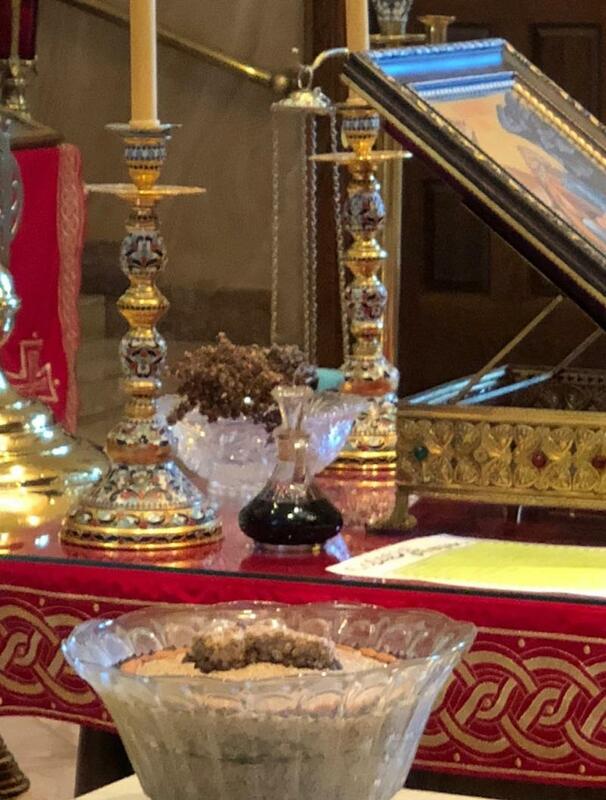 Per his wishes, +Proto Stevan was arrayed in priestly robes that had once belonged to one of his predecessors at the parish, +Protojerej-Stavrofor Vlastimir Tomich of blessed memory. Hundreds of faithful and friends came throughout the visitation and services to pay their final respects to +Proto Stevan and to offer prayers and support to his devoted wife, Protinica Ana, his daughter Ivana and husband Tony, his son Marko and wife Inna, and his grandsons Alexander, Dimitri, Roman, and Stevan. 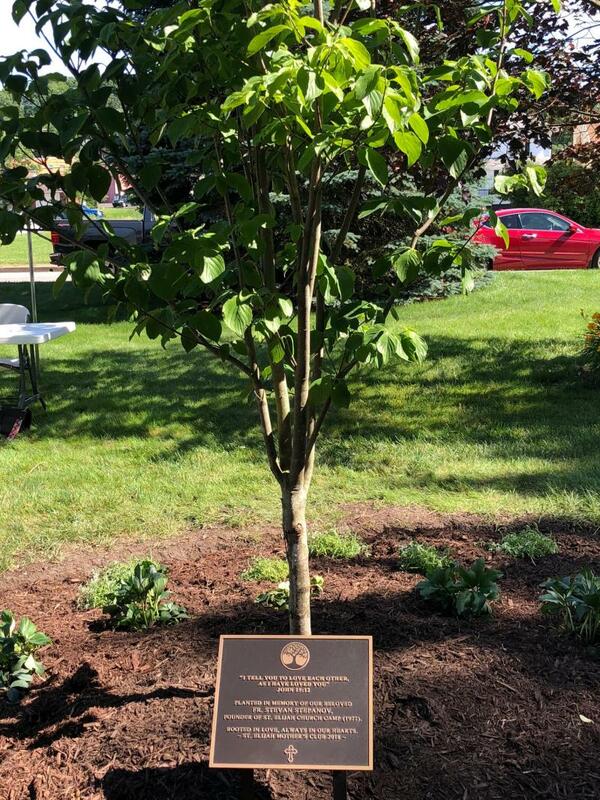 A Tree is planted for Fr. Stevan by the St. Elijah Church Campers under the direction of Georgette Brnjilovic Osman. Special Pomen Services were offered by Rev. Fr. 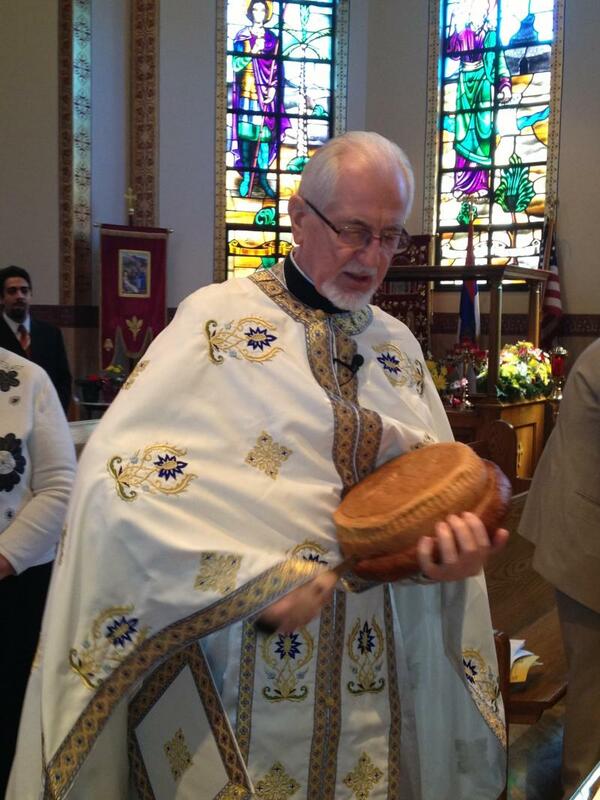 Branislav Golic, parish priest, and Retired Fr. Stav. Dr. Rodney Torbic, a member of St. Elijah's from an early age. Fr. Branislav addresses the church camp children, reminding them again about Fr. 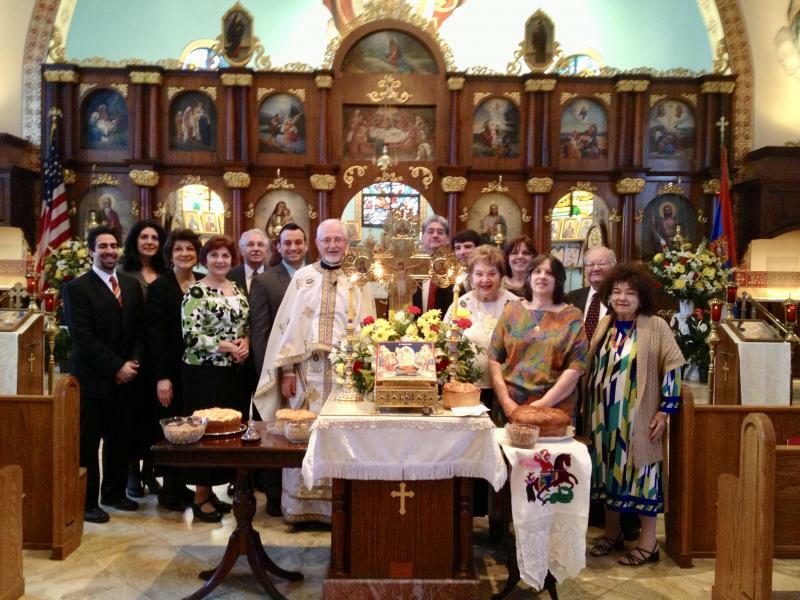 Stepanov's great deeds while serving the St. Elijah parish. 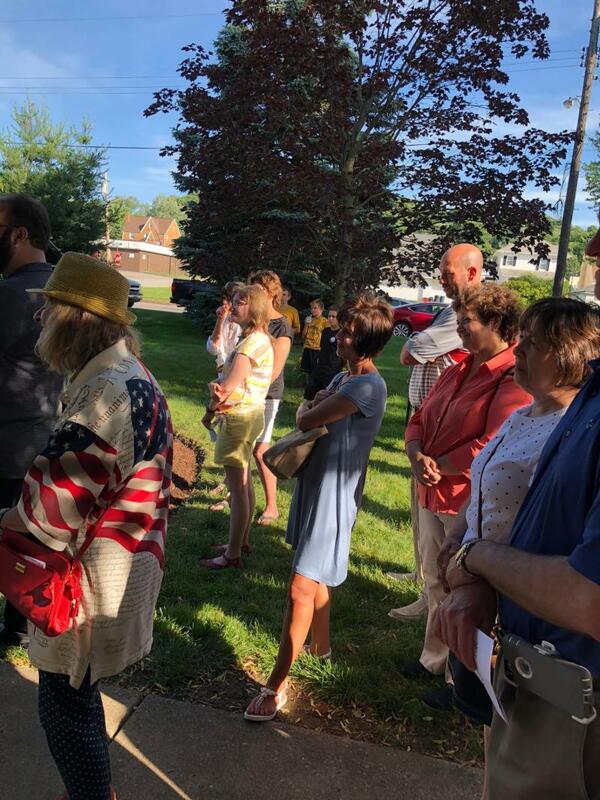 Lynn Popovich represented the Mother's Club in a tribute, and then Georgette B. Osman added her own words of gratitude for a True Servant of the Lord, V. Rev. Fr. Stevan Stepanov.